If you're like me, you'll see outfits online and wonder where you can pick up a similar look. One of the latest additions to my 'want' list is this look by Oliver Cheshire during LCM'16. Most of the time, a lot of the items are way out of peoples budgets so I thought I'd compile alternative ways to shop this look for less. I found a couple of alternatives for the fur-collared coat. The most similar buys where from Ted Baker and BooHoo.com. My personal preference is the checkered option from Ted Baker. This comes in at £164 which may be a little over some people's budgets but is completely worth it. 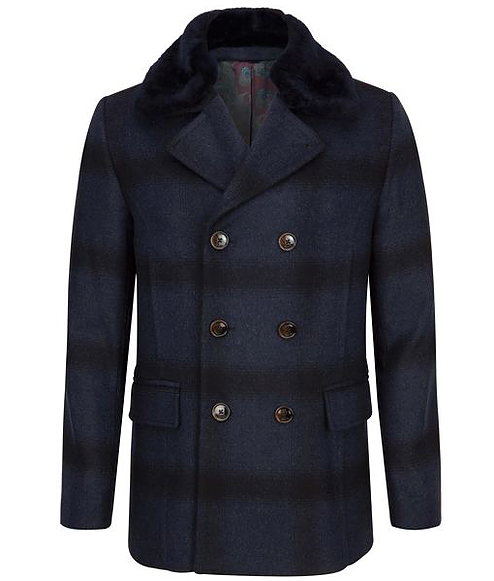 I think the patterned body is a great and the navy collar and contrast buttons adds that extra luxurious finish. The cheaper alternative is the completely black option from BooHoo. I never think to look on their site as I normally forget they stock menswear but stumbled across this jacket. 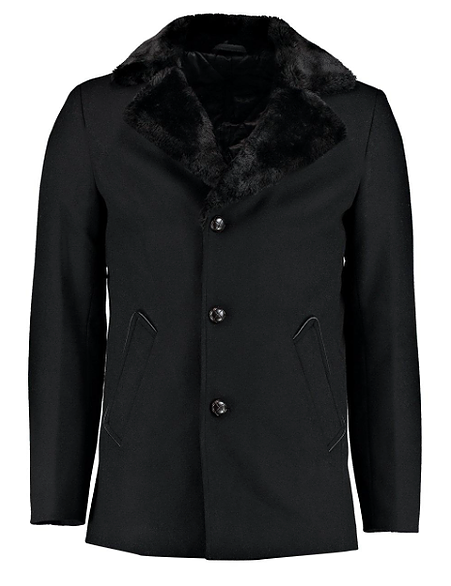 The single breasted front and plain design is a little more suited to most people's tastes but the fur detailing sets it apart from your average peacoat. At £60 I feel it's a great price if you're looking to add a touch of sophistication to your wardrobe and to achieve this look. This jumper has become a staple in the modern man's wardrobe. 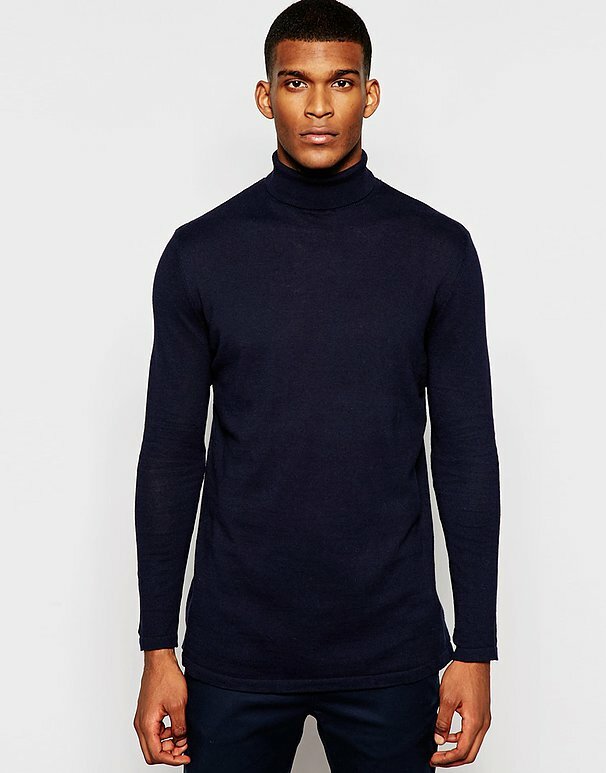 From a classic black to vibrant colours, it seems that more guys are turing to a turtle neck to add that smart edge to their outfit. 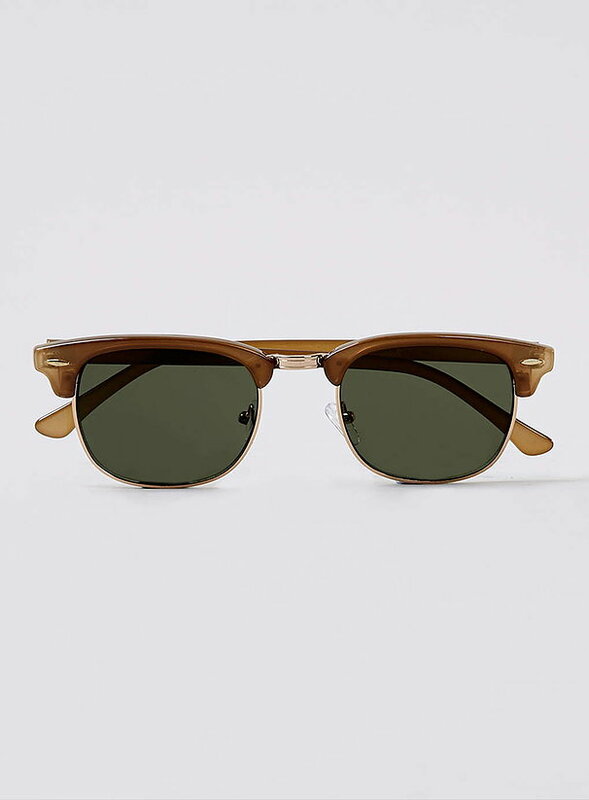 They are widely available and easy to pair up with a jacket or overcoat and look great with any sort of trouser. This option from ASOS is a steal at only £15 and comes in a number of shades. I think your best bet is either Grey, Navy or Black as these are the most versatile and classic colours to put at the base of your outfit. 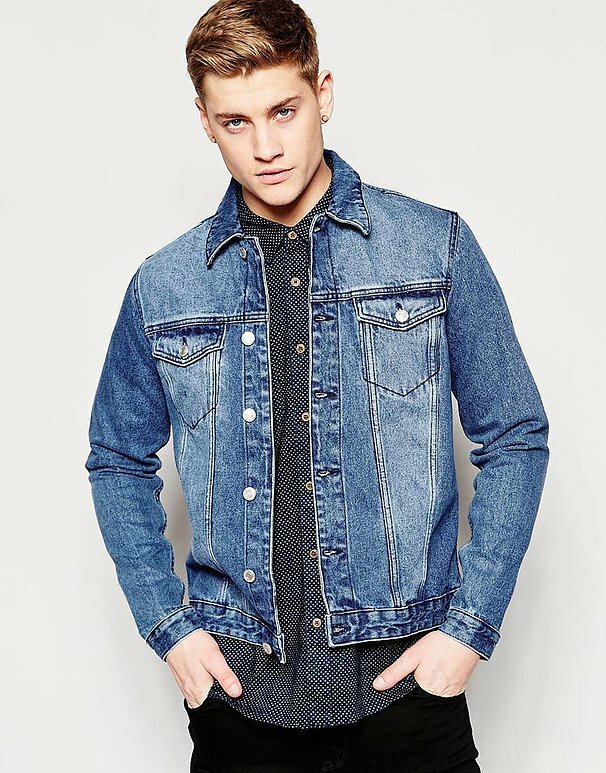 Denim Jackets are no longer that forgotten item at the back of your cupboard. They've become a great layering option and have seen a new lease of life over the past few months. I love the double jacket look in this outfit and contrast in colours and texture that it adds. They are great to throw on as you leave the house and this jacket from New Look/ASOS will add that extra edge to any outfit. I chose this option because of the great cut and shade of denim. I prefer not to go for a denim that's too light as I feel this is harder to team up with other items and stick to the mid and darker shades. If you prefer a baggier or more retro style, check out your local thrift or vintage shops as these are always knocking around on the rails. If you're looking for an alternative to your standard pair of jeans, Chino's are a must in your wardrobe. I have a range of different fits and a number of different colours. They look great all year round and work as part of any outfit. They look just as good with a blazer and shirt as they do with a baggy sweatshirt and tee. I prefer to go for a slimmer leg as I feel this silhouette looks a lot smarter and clean cut, I do however have a more relaxed fit which pairs great with boots and chunky knit jumpers for a casual look. Don’t let this white pair put you off - paired with the dark top half and multiple layers, you’ll be perfectly balanced out, but if it’s really not you’re thing, a charcoal or stone would be a perfect substitute.